Here are the class slides: Mikrotik Routing Slides	(27940 downloads) . Here’s the audio version of the presentation: MTK-Routing-MP3	(12976 downloads) I’ve got it at 64kbps, so the audio isn’t hifi, but it cuts the file down to about 65MB! Here’s my mobile lab…6 RBs in a grocery sack…hehehe. I picked this up in the produce section, right next to the oranges. This video is a little over 2 hours long and I love to ramble so good luck…heh We also have a new kitten that attacks me a couple of times in the video, so disregard that if you can…I was already too far along in the video to stop and start over. Here is a link to my Multi-homed BGP presentation! O Yeah I especially love the sack-O-Routers HAHA! Looks like my lab I have setup. I’ve always been confused about something. Why put an IP address to a bridge? I see a lot of people doing it, therefore it must be the proper thing to do, but I still don’t understand it. I use bridges and have never put an IP address to them and they work great. I typically just IP the ether port. I”m probably missing the big picture here, but please realize this is a neophyte question (and I realize it), so be kind. I’m always kind 😉 hehe. I bridge is really a software switch. As you have found, there is no necessity to put an IP on a bridge. -I sometimes create a bridge and add no ports to it. I’ll then add an IP address to this bridge. This is my version of a loopback interface. A loopback is a software interface that can be used to hold the router ID for BGP or OSPF. You can use this to hold a /32 address you want to use to refer to the router by. -IP addresses are also added to bridges so that the router can route on the subnet native to that bridge. It’s the same concept as a vlan interface in the Cisco world. If I have a bridge, and all the hosts that run on that bridge are 192.168.0.x/24, I can assign 192.168.0.1/24 on the bridge interface and allow those hosts to route through my router. That gets me out of vapor lock, and thinking a bit more. To further aid me in understanding more of OSPF, I found a CISCO published handbook invaluable. Just found it yesterday at the local Microcenter, CCNP – Routing and Switching Quick Reference. You may have either used or run across this yourself. Opinions will always vary, but this really works for me even if it is oriented towards CISCO hardware. ISBN-13: 978-1-58720-284-1 or ISBN-10: 1-58720-284-0. I checked in my slides and I refer to administrative distance. Every routing protocol has it’s own admin distance value in the router. The admin distance prefers eBGP over iBGP as eBGP has a lower AD. This is refereed to as just distance in Mikrotik. Question: You can only use the loopback IP in BGP because you already have a route to the individual loopbacks through OSPF correct? If you run BGP, you must also run an IGP. Most people choose to run OSPF, though one could simply do it with static routes. BGP isn’t made to carry information about internal router to router traffic, it is made to carry route information from AS to AS. You still must tell it how to get from one router to another. I had been looking for a tutorial on Mikrotik…and I am glad I landed here. Question: Can we use one port to accept 2 vlans (e.g. 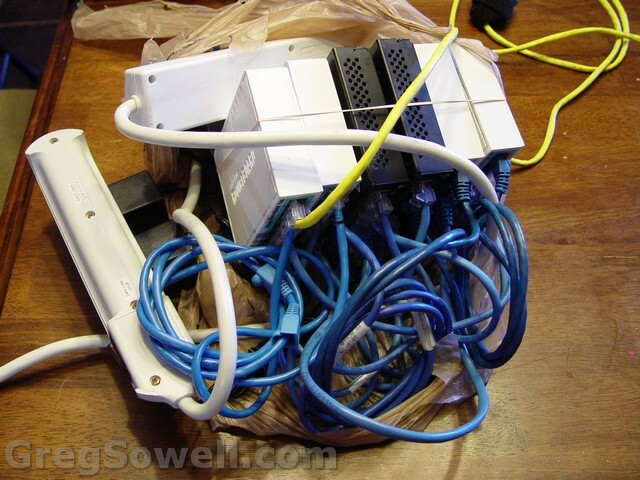 vlan 10 and 20 on ether1 ) and use other ports as switch port. E.g.use ether 4 as untagged port to accept vlan 10 and ether 5 to accept vlan 20. Indeed you can. If you want a VLAN to stretch across multiple ports, you need to create a bridge interface and associate the VLAN and ether 4 together. Then put all the IP address information on the bridge interface. 1. Don’t eat right before you create a video. Your “gastric issues” show a lot on the recording. No offense intended. 2. Give all the background information before you present something that depends on it to understand it. You spoke for a long time about OSPF promising you would explain “areas” later; without that information we can’t build a picture in our head. We have to re-listen to your presentation to understand it because essential information is presented a lot later. Other than that, I congratulate you. Perhaps you should cut the videos into smaller chunks so that people can listen only to what they need. Points taken sir. I’ll take these all into consideration if I’m given the chance to make more of these. i want the video but it is not loading, it is taking very very long time.i waited for a long time but nothing happened.can you upload this video to youtube,so no bandwidth issue.i have a little hosting comany and i can host your videos on my server free of cost. i am new in the world of Mikrotik and i found your site very interesting. Thanks for the video. But I tried a lot and cannot watch this video. Can you give us other links where we can download this video and watch video without interruption. The videos have been moved to youtube now, so all should be right with the world. Please let me know. Your videos are the best!! It is great the way you work around a whole topic and cover the tools to get there with real examples filling in voids. Keep them coming. Wish you had a video on this subject. We are trying to push public ip through a Mikrotik 1200 to selective (or all) wisp customers on the other side of a M5 rocket ap. Current isp feed is a /29 (6 usable addresses) in a block on Eth1. Been looking at vlan, pppoe, and considering subnetting and splitting the pool between 2 interfaces (we have several open interfaces on the 1200). Best case scenario would be to allow one M5 AP to distribute either public or private numbers depending on client. So far not finding a good model to follow for building this out. Any pointers?? – apologies for such a long winded .. yeah!! One would be to provision a bridge interface on the border router. Then create a bunch of EOIP tunnels back to that bridge interface for the users that want publics. Another would be to do a bridge interface with VLANs the way you talked about. This method would require you to have your network run layer 2 all the way back to the core. A third method would be to leave your network as it is and just do 1 to 1 NATs for the clients that want publics…this is most likely the easiest to implement. The /29 doesn’t even need to be physically configured on your device. thank you very much for the wonderful tutorial..